of his own teacher, but the face I see is yours. an immoderate passion for these forty years. settles on the unprotected, like ashes from the sky. not, as Dante says, like one who lost, but one who won. from destroying the city for fifty just men? if only short a few? …And so on, down to ten. Even God learns, it seems, and learns through us. then writes with his finger in the warm gray dust. by the cautious Flemings and the Paduans. boiling in the fosse – its vapor – shields us overhead. what we learn, and learn again, is love. From Each Perfected Name (Truman State). Copyright 2015 Richard St. John. 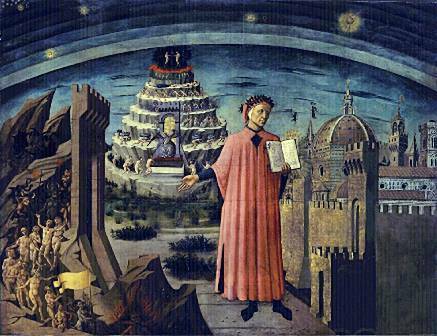 This entry was posted on June 28, 2017 by Vox Populi in Opinion Leaders, Poetry, Social Justice and tagged art of teaching, Dante, Divine Comedy, English teachers, Learning with the Lost, Richard St. John, Robert Hollander.